While the previous industrial revolutions eluded the country, India's contribution to the 4th Industrial Revolution would be astonishing, says PM Modi. He said his government is open to policy changes to help reap benefits of the fourth industrial revolution. "Our diversity, our demographic potential, fast-growing market size and digital infrastructure have potential to make India a global hub for research and implementation," he said. While the previous industrial revolutions eluded the country, India's contribution to the 4th Industrial Revolution would be astonishing, he said. India was not independent when the first and second industrial revolution happened. When third industrial revolution happened, India was struggling with challenges of just attained independence, he said. Modi said teledensity has increased to 93 per cent and nearly 50 crore Indians now have mobiles. India is the largest mobile data consuming country in the world and also the one with the cheapest data rates, he said, adding mobile data consumption has increased 30 times in four years. Over 120 crore Indians have Aadhaar, he said, adding work to connect all the 2.5 lakh village panchayats with optic fibre would be completed soon. 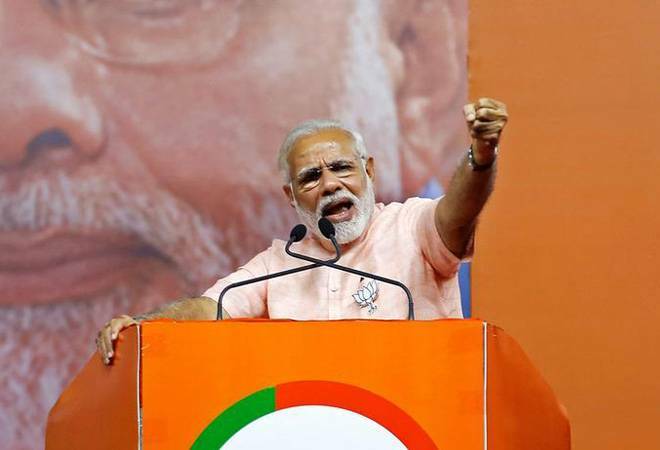 In 2014, only 59 panchayats were connected with optic fibre while presently 1 lakh are connected, Modi said.